A new research conducted by Stanford political scientist Amy Zegart has shown that evolving drone technology will allow countries to make low-cost yet highly credible threats against groups and states that do not have drones. Does this mean that the mere threat of using an armed drone will force an adversary to change their behavior without striking them? Yes, says Amy Zegart, a Stanford political scientist, who claims in a new research paper that countries that possess deadly and armed drones could change the behavior of adversaries without even attacking them. Zegart is the co-director of Stanford’s Center for International Security and Cooperation and Davies Family Senior Fellow at the Hoover Institution. Armed drones are likely to offer coercion ‘windows of opportunity’ in at least one important circumstance: states that have armed drones confronting states that do not. As wars grow longer and less conclusive, armed drones enable states to sustain combat operations, making threats to ‘stay the course’ more believable. According to Zegart, drone technology is turning out to be a highly effective tool to change a state or country’s behavior than prior days of more costly option of using large-scale military movements or ground troops in conflict or war. “Drones may be turning deterrence theory on its head,” said Zegart, referring to the cost-benefit calculation made by a prospective aggressor when judging an attack. Next-generation drones are the focus of Zegart. These instruments are basically unmanned fighter jets that are being developed. However, Zegart is not exploring the use of currently available drones like Reaper, quadcopters, and Predator unmanned aerial vehicles. For her research, Zegart conducted a survey of 259 foreign military officers between the periods of 2015-2017. Survey participants included foreign military officers who were highly experienced and were attending classes at the Naval War College and National Defense University. 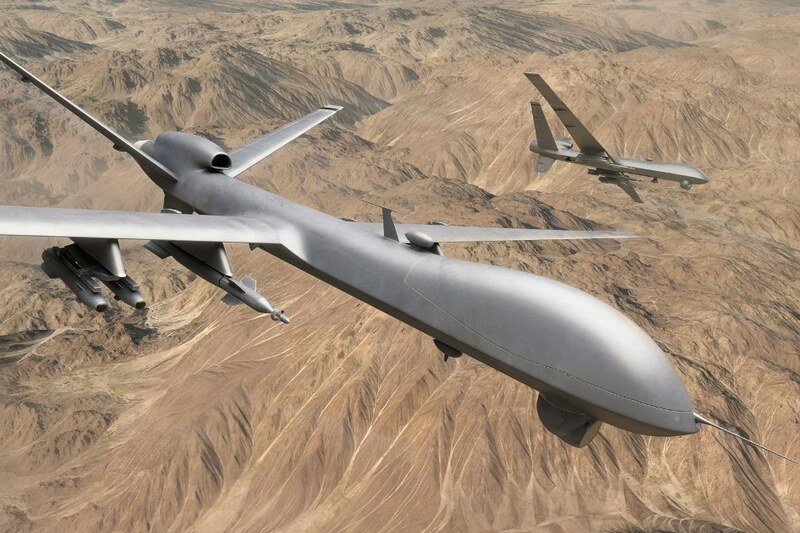 A drone refers to an unmanned aircraft that can be remotely piloted to deploy a lethal payload to a particular target. Zegart added that many scholars are now exploring the fact whether the future of warfare could be changed by drone proliferation across the globe. “But even here the focus has been the implications for the use of force, not the threat of force,” she said. According to Zegart, new types of drones are more deadly than ever, affording greater ranges, speeds, agility, and stealth. Although the U.S. is ahead, it is not the only country to use drones. Armed drones have already been used by nine countries in combat, and lethal drone programs are being developed by at least 20 countries, including China and Russia. “It is time for a rethink” about drones, Zegart said. With technological developments, drones will soon be able to operate in hostile conditions better than ever before. “Drones offer three unique coercion advantages that theorists did not foresee: sustainability in long duration conflicts; certainty of precision punishment, which can change the psychology of adversaries; and changes in the relative costs of war,” she said. Zegart said that high-cost threats may in fact be less credible than assumed. Her findings contest the belief of “cost signals,” – a strategy used by military forces where a country warns another with a high-cost option, like ground troops, which is meant to show resolve. Actually, drones may signal a country’s resolve more effectively and can be part of an enduring offensive campaign against an adversary as they present a low-cost option. “In situations where a coercing state has armed drones but a target state does not, drones make it possible to implement threats in ways that impose vanishingly low costs on the coercer but disproportionately high costs on the target,” Zegart said. Zegart added that throughout history, whenever a novel military technology is developed, enemies have basically encountered two options – either admit defeat or innovate to overcome the opponent’s advantage. “There is no reason to expect drones will be any different. The more that drones are used for combat and coercion, the more likely it will be that others will develop drone countermeasures,” she said. Zegart added that modern weapons usually evolve technologically even before “game-changing ideas” occur about how to utilize them. This holds true for airplanes (which initially substituted surveillance balloons and were not utilized to drop bombs until 1911), nuclear weapons during the Cold War, submarines before World War I, as well as tanks after World War I. “While physicists in the Manhattan Project developed the first atom bomb in just three years, it took much longer to develop the conceptual underpinnings of deterrence that kept the Cold War cold,” she said. Drones however raise significant questions regarding the contribution of machines in decision-making during combat, said Zegart. For instance, there has been a heated debate about the legal and ethical issues raised by U.S. drone strikes, the effectiveness of performing drone operations against terrorist groups, and whether drones should be controlled and operated by the CIA or Pentagon. As other technologies including drones evolve, such questions may probably grow more “numerous and knotty”, Zegart said.